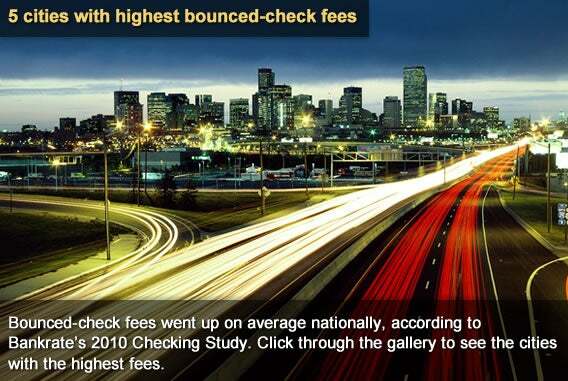 Fees for overdrafts increased over the past year, with the average cost of the first bounced check or returned payment now at $30.47. This is up 3 percent from $29.58 last year, and it’s consistent with the average 2.9 percent annual increase since 1998. 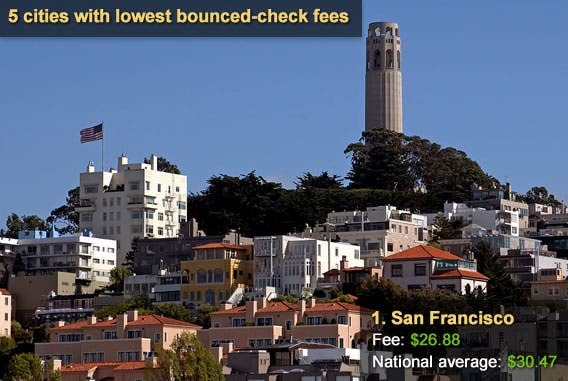 Still, the fees in some cities fall below the average. 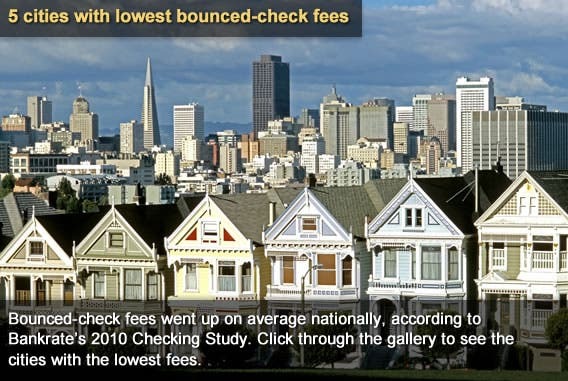 See which ones at Bankrate.com. 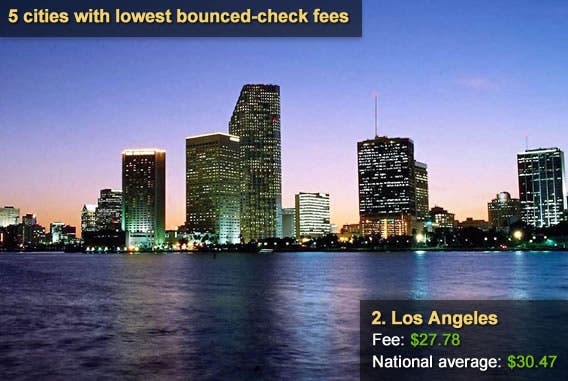 In its 2010 Checking Study, Bankrate surveyed the five largest banks and five largest thrifts based on deposits in the top 25 U.S. markets. 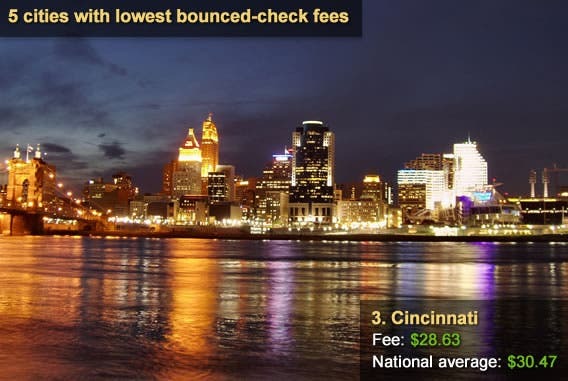 Fees for overdrafts increased over the past year, with the average cost of the first bounced check or returned payment now at $30.47. This is up 3 percent from $29.58 last year and is consistent with the average 2.9 percent annual increase since 1998. 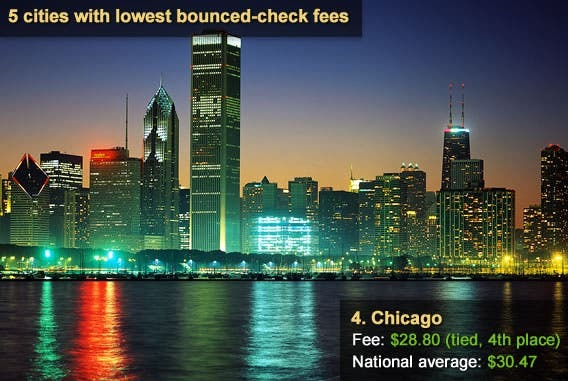 Still, the fees in some cities fall below the average. 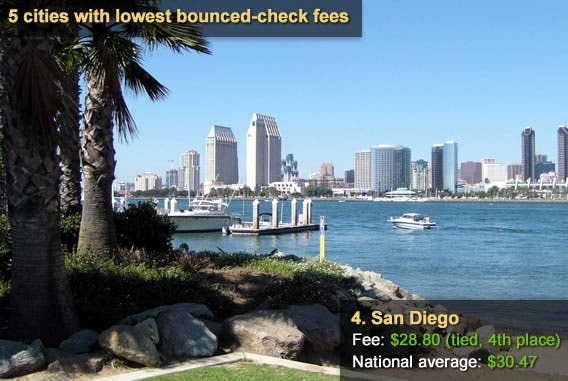 See which ones at Bankrate.com.